Workout: Warm [2.5 mi. ], 0.25 miles @ 6:26 pace Weather: 66 degrees, sunny. 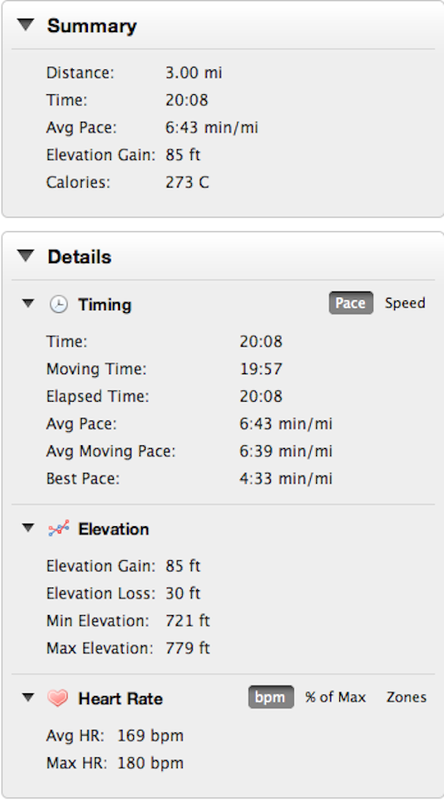 Long story short…great warmup. Right foot pain. And done. Didn’t get through the workout. But it was a GREAT day…honest. This…This…This. The theme from the Greatest American Hero. Immediately went to ITunes and put it on the playlist for the run today. Drove to the park in perfect weather. Sun. Spring Colors. 65 degrees. Plugged the earphones in. Put the theme song on repeat. Waiting for me in the parking was a fellow Texas Longhorns fan who wanted to tag along for a mile or so. And so began the Greatest American workout of all time. Has this ever happened? No. Was this planned? No. It was the music. My right foot hurt about 10 steps into the tempo portion. I mean, I must have accelerated for about 15 seconds before the Greatest American workout became just the Greatest American warmup. I’ve felt this pain before in the right foot. It comes from wearing shoes too tight. The foot can’t flex (toes pointed upward), and one of the outside ligaments feels like hell. I’ve been cheating. Wearing road racers for tempo runs, and it finally caught up with me. Shouldn’t be too bad though. I stopped before it really felt bad. And tomorrow’s an easy day. There’s an offensive and a defensive component to this workout deal. I started this plan with the intention of getting better. Improving my current physical fitness level. And I think that’s happening (more on this in a second). But I also want to stay safe. As important as pushing my limits on good days, is making sure that I try and limit the damage on days where physically and/or mentally I’m just not there. Today was a physical thing. The foot will probably heal. I’ll take better precautions and roll on. There’s a lot of repetition (doing the same workouts again) built into my plan, so missing a workout doesn’t throw everything off as it would in a more linear plan. It’s all good. As for the fitness level improving, my morning heart rate moved down to 41 bpm! That’s all-time best for me. I want to credit doing the longer runs during the week to balance out the fast stuff. Been reading on some of the blogs about the benefits of slower running, and so far it hasn’t disappointed. I appreciate the knowledge. On to tomorrow! Workout: 11 miles @ 7:43 pace. Weather: 79 degrees, cloudy. Recap: Got it done. I’ll take it. Came into the run with a lot of confidence from the past two weeks. Didn’t think it would be much of a problem. For the most part not that bad a go out there. First two miles, I wanted to be somewhere else – a familiar story. After that, started to settle in and put the run away. Started to hustle with an effort that I didn’t want to put into the run during the last three miles. Hoping to hold some of that back mentally. 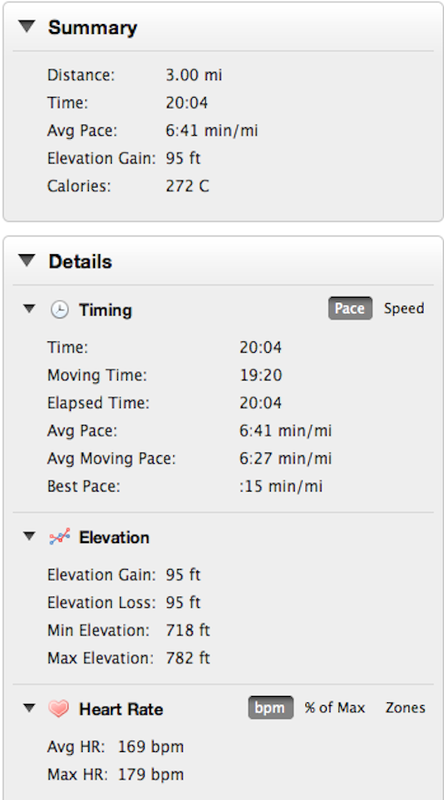 Thought about all the fat that the body must be processing at this stage of the run, and it motivated me to continue. Almost 80 degrees and 80% humidity outside. Shirt and shorts were wet and heavy by the end. 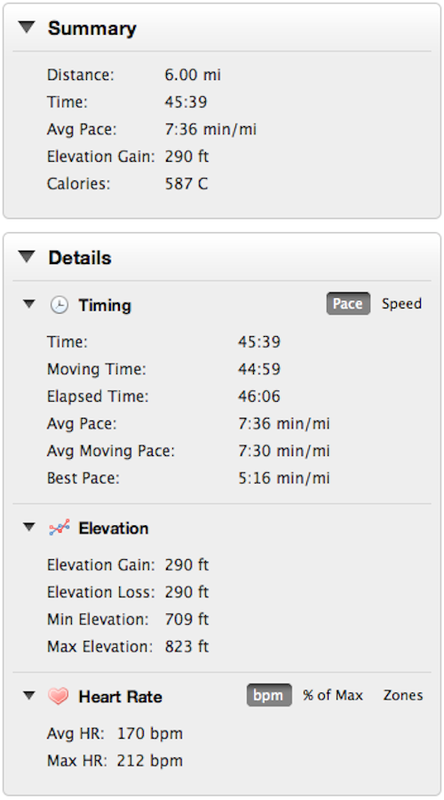 Heart rate stayed pretty consistent at 164 bpm throughout the whole run. The monitor is starting to produce some weird glitches though. For instance, miles three and four registered averages HR of 211 and 185. No way I got that high. After that every mile was run at 164 or 165 bpm. Really like the consistency of that heart rate, even though I was tiring. 48-mile week. Not very often I get to this kind of mileage and not get hurt. Hoping that things will be different this time. Well-earned day of rest tomorrow from running. Looking forward to eating and watching the NFL.